We use Photoshop 7 in this class, but the lessons are valid for just about every version of Photoshop, including Elements. The concepts are the same regardless of Photoshop version. 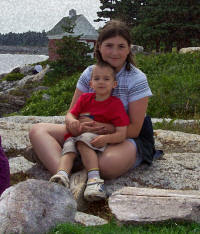 This class picks up where we left off with Photoshop 102. We'll teach you a lot more about Layers, and different layering techniques. Then we'll paste him into a different picture of some sand dunes, but we'll put him on his own layer. 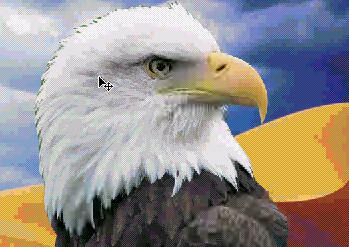 With the eagle separated on his own layer, we can further manipulate either layer (the eagle or the background) without effecting the rest of the picture. 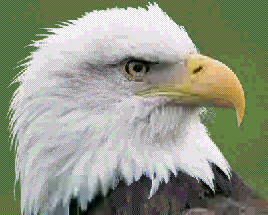 We'll learn about layer opacity and luminosity settings to make the eagle look like a ghost and to darken the whole image. Next we'll add a text layer and I'll show you all kinds of new tricks and techniques for working with text in Photoshop, such as how to give your text this Background Glow appearance. We'll then spend a good deal of time working with Masks and Channels. I'll teach you what these are, and how and why you want to use them. 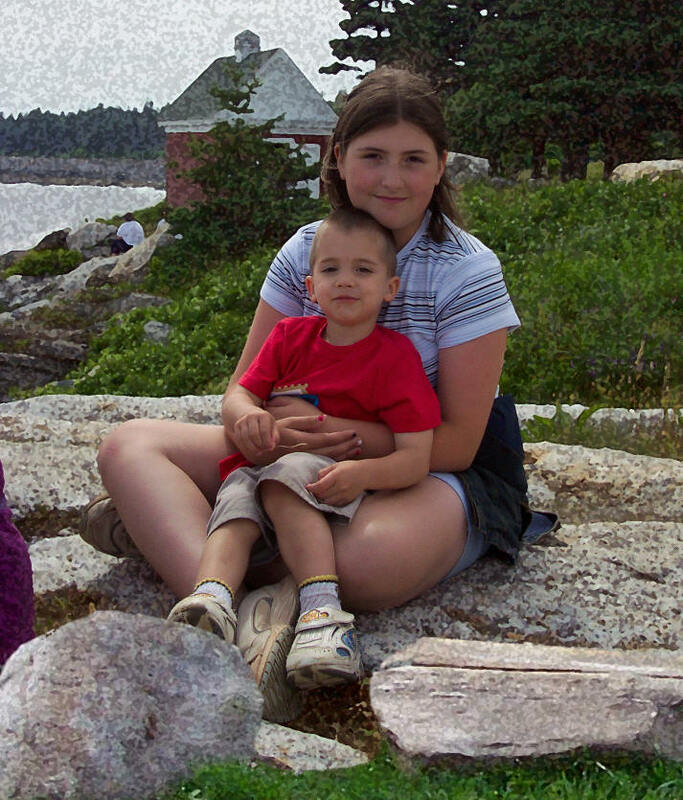 For our in-class project, we'll take a photograph of some kids sitting on rocks by the beach, use a mask to isolate them, and change the background so it appears to be a sponge-painting. Then, we'll pull some rocks out of the foreground of a different photograph, and use a Layer to isolate them and place them in the foreground of this image. It's a real neat effect. I was trying to follow what you were doing at about minute 02.00 by opening a file as a background, and then open another file that goes as a layer. I'm using photoshop cs3, and when I opened the second file, it's always treated as a background and I couldn't find where did the previous background/file go. How do I go about that? I've figured out my previous question, thanks! Robert Grieves on 2/23/2010: One small problem...Lesson #6, the Review, was unavailable. I received a pane which read "The Movie File C:Program Files\599CD\Photoshop 103\06 Review.wmv cannot be found" This is of no consequence to me, but this may be a concern to othes. 'Just thought you'd like to know. Robert, you are correct. This lesson actually doesn't exist. It's in the listing for the course, but the video was never recorded. It's no big deal - it only recaps the topics covered. Norman Jackson on 7/8/2011: This is the best explanation I have seen for the quick mask. Thank you for being so clear about this topic. Can I save a text layer to be used in other photos to be used for a copyright, for instance?